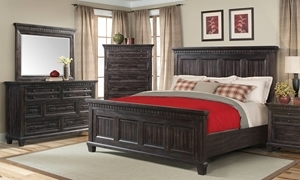 Sturdy twin bunk bed blends timeless Arts and Crafts design with industrial metal accents in a dark graphite finish. 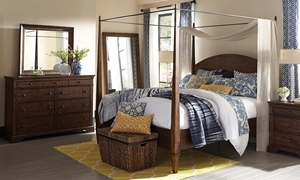 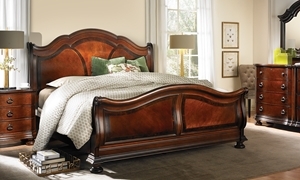 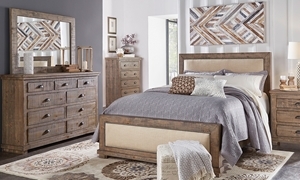 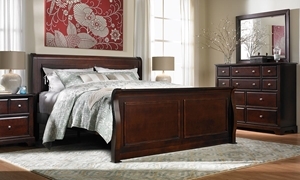 Panel bed is classically inspired, with a rich finish, inset panels, and thick crown moldings. 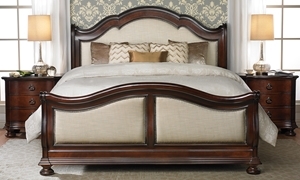 Twin bed featuring white picture frame molding framing with an upholstered headboard and foot board.